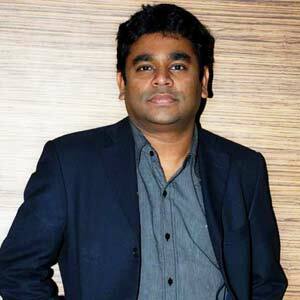 The latest in the list of celebrities who are impressed with 'Why this kolaveri di…', written and penned by Dhanush for his forthcoming film '3′, is none other than Oscar-Grammy winner A.R Rahman. Says Anirudh, the music composer, who is making waves right from the day one the single number was released, "I heard from someone that AR Rahman has said he likes the song. That's really big news for me." Meanwhile, arrangements are on for the audio launch of '3′, which is set to take place in Chennai soon. Says Dhanush, "The remaining songs from the movie will be totally different from Kolaveri… Anirudh has done a very good job." A popular Tamil magazine conducted a poll to find out the most expected film of 2012. Rajinikanth's Kochadaiyaan, Kamal Haasan's Viwaroopam, Vijay's Nanban, Ajith's Billa 2, Arya's Vettai, Silambarasan's Vettai Mannan and Danush's 3 were in fray to scale the first place. 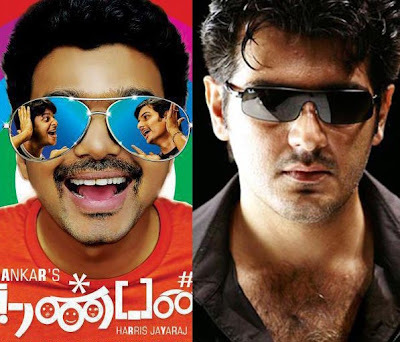 Of all these films, Vijay's Nanban reached the top spot with 1,19, 668 votes while Ajith's Billa 2 followed it with 1,08,339 votes. Looks that these two are the hottest picks of 2012. The third schedule of 3 will begin from December 15th onwards. During this schedule, Aishwarya Dhanush intends to shoot the visuals for the Why This Kolaveri Di song. The debut director wants the visuals to be extraordinary because the song has become immensely popular throughout the world. Aishwarya is taking extra care to shoot this song and is involved in discussion with several people. 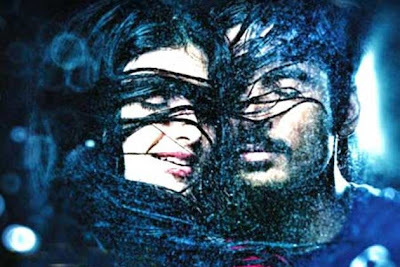 Why This Koalveri Di will be shot on 3's lead pair Dhanush and Shruti Haasan, reports sources close to the unit. When a director who is known for delivering unabashed commercial entertainers and a hero who is an interesting amalgam of mass and class (especially after VTV) come together, colorful fire works are the obvious corollary and to spice up the entire proceeding when the product is the remake of Salman Khan's huge hit Dabangg, it is only natural that the buzz blaster is cranked up to the maximum. Director Dharani is synonymous with wholesome entertainers with breakneck speed and in Osthe, for the first time, he teams with STR who reprises the role of Chulbul Pandey as Osthe Velan for Tamil. When a film is remade, it has the undue disadvantage of being compared with its original which is simply inevitable but Osthe stands on its own merit, thanks to Dharani's screenplay and STR's screen presence. For those of you who have not seen Dabangg, Osthe is about a fearless cop and his emotional trips with his family members. Director Dharani, for most parts, has adhered sincerely to the original, weeding out a few elements and infusing the necessary flavors of Tamil Nadu appropriately. STR returns after Vaanam and it is palpable that he has enjoyed portraying Osthe Velan to the hilt. His flawless ease and agility be it in action or dance sequences, is a joy to watch. He monopolizes the screen totally and his cool arrogance works big time to portray the smug cop Osthe Velan. The sequence where he needs to portray heavy duty emotions like the one in the hospital with Nazar, STR stumbles you with his subtle performance and it is an STR show all the way! Richa Gangopadhyay after her impressive debut in Mayakkam Enna, makes her second appearance in quick succession. Richa's Nedu Vaali does not offer much scope to bring out her acting potential but all the same, her glamorous avatar emerges in Osthe. Sonu Sood puts his chiseled body to effective use and the much talked about STR's six pack torso is an added garnishing to this masala meal. There is a galaxy of supporting cast that does its part convincingly. VTV Ganesh as Richa's dad, Nazar as STR's step dad, Revathy as STR's mom and Jithan Ramesh as STR's half brother are all adequate. Santhanam is an indisputable value addition to comedy department supported by Mayilsamy, Thambi Ramaiah and Vyapuri. However Santhanam could do well for himself if only he does not follow Vennira Aadai Murthy diligently in his double entendres. Thaman's much publicized Kalasala although energetic lacks the fizz of Munni badnam hui and Mallika Sherawat disappoints. The rest of Thaman's refrains are enjoyable and the Osthe Maame number tops the list. All the songs have been choreographed and picturized well. Cinematographer Gopinath through his lens brings out the right kind of mood and feel of the film. The hard work of action department consisting of Kanal Kannan, Ram Laskhman and Silva is perceivable and kudos to them on their impressive stunts.. The pacing of Osthie is uniform and it manages to grab the attention of the audience for most parts. Toting up, the 'must have's of a mainstream commercial potboiler are all dutifully ticked in Osthie which will find patrons in those who would love to spend some two and half hours of their time relaxing on a well made entertainer.